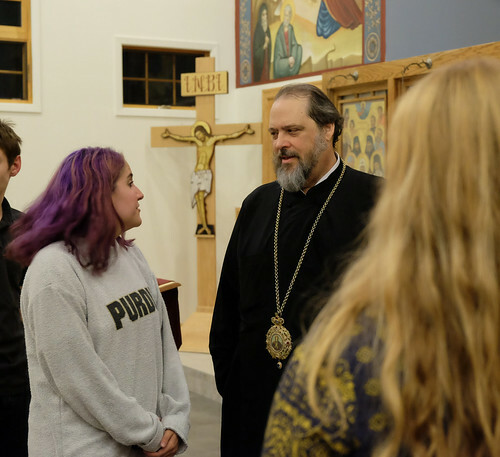 His Grace Bishop Gregory visited Holy Transfiguration in Crawfordsville, IN, during the last weekend of February. 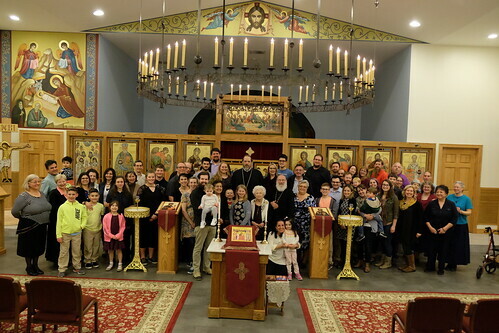 He also presided at the Sunday of Orthodoxy Vespers at St. George Antiochian Orthodox Church in Fishers, IN. 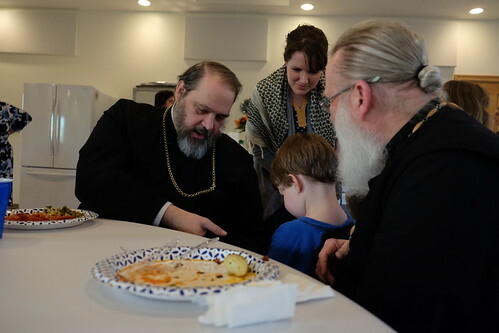 Since he was "in the neighborhood," so to speak, he made a brief visit to St. Alexis in Battle Ground, IN, much to the delight of all the parishioners who greeted him and shared a meal. The Parishioners look forward to future times to spend in his company and pray that God will grant him many, many years! Bishop Gregory greets a small child. Bishop Gregory With The St. Alexis Parish Family. The Parishioners enjoyed informal conversations with Bishop Gregory.